A recently conducted survey revealed that up to 72% of practices tend to spend as much on newer technologies in the coming years than they have in their past. In fact, in some cases, the investment in these technologies exceeds the spending they have previously done. 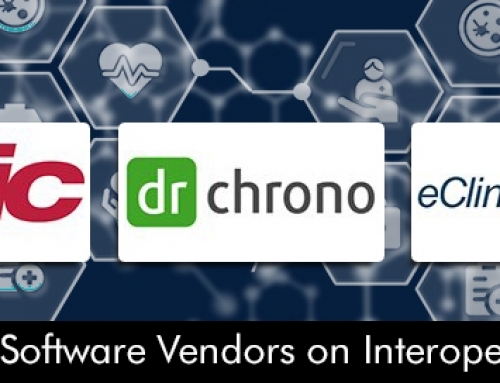 This increase in investment will most likely be targeting the mobility of the software being used, with up to 91% of practices demanding access to Mobile Electronic Medical Records (EMR) Software. This substantial increase in the demand of Mobile Electronic Health Records (EHR) Software shows that for physicians, every moment matters. They want to save time and need maximum ease of access. From the sending of scripts when they are away, to verifying allergies and even sharing results face-to-face, doctors need to make every process efficient and effective. 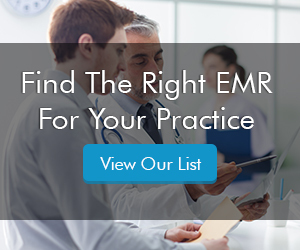 The five reasons given below explain why you need a Mobile EMR software system in your practice, along with some useful tips that can be used to maximize order and results. Before Mobile Practice Management (PM) software were common, physicians had to stop by their clinics for every single task whether it be accessing the Electronic Medical Records (EMR) Software, reviewing a patient’s history, or verifying some information from the database. But with mobile access now, you can easily update your documents or check any data from a handy device. You can access the functionality of scheduling appointments using the Mobile EMR Software. By utilizing mobile PM Software, you can not only enter, but also search critical patient information from your smartphone, tablet, or even an Apple watch. Now, you can pull up any vital information from your mobile EHR from anywhere, anytime, and make the best treatment decisions possible. The gap of communication and how practices deal with it can be a deciding factor in the making or breaking of a practice. The practice-wide sharing of data is necessary so that you and your staff are on the same page when it comes to decision making. Mobile Electronic Medical Records (EMR) Software makes sure that data can be accessed by all authorized staff members and the sharing of all the records via Patient Portal can be efficient so that communication gap within the practice is no longer an issue. For any practice to be successful, data accuracy is an important factor. The data collected needs to be error free so that the treatment of the patients is not compromised. Mobile EHR system allows more data to be captured at the point of interaction, directly into the mobile device. This can help reduce data entry errors from when notes are recorded in hard copy and then shifted to the EMR Software later on. With Mobile Electronic Health Records (EHR) software system software in use, the ability to record data in a more interactive way, with color-images, user-friendly documentation, and easy to interpret graphics, has completely transformed the patient experience. By showing them demographics such as scan results, health metrics, or charts, on a handy mobile device, the patient gets much more captivating. With mobile access to Electronic Medical Records (EMR) Software, you can stay connected to your procedures at all times. This helps you have everything right in front of you when you’re making decisions remotely and saves you from any errors.